Would you know a bed bug if you saw one? Would you be surprised if we told you that most people wouldn't? You've probably seen pictures of bed bugs. Most of us have. They have been in the news quite a bit, with infestations popping up in unexpected places, and do-it-yourself pest control measures ending in tragedy. But, those oval brown bugs you see in the news are not the bug you're likely to see when you're traveling. In this article, we're going to explore why. And we'll also take a look at some other ways you can keep bed bugs from ruining your travel plans or--keep those blood-eating pests from coming home with you. There are many ways to tell if your accommodations have a bed bug infestation. Some are obvious. Some are not so obvious. Whether you're staying in a 5-star hotel or a tiny motel off the interstate, it is a good idea to bring this checklist with you. Before you bring your bags into your room, do an inspection. If it is inconvenient to leave your bags in your vehicle, consider putting them on the tiled floor in the bathroom where they will be safer. Use a flashlight to do your inspection. Check the seams, corners, and underside of mattresses and box springs for black residue, brown stains, shed insect skins, or tiny rust-colored bugs crawling around. 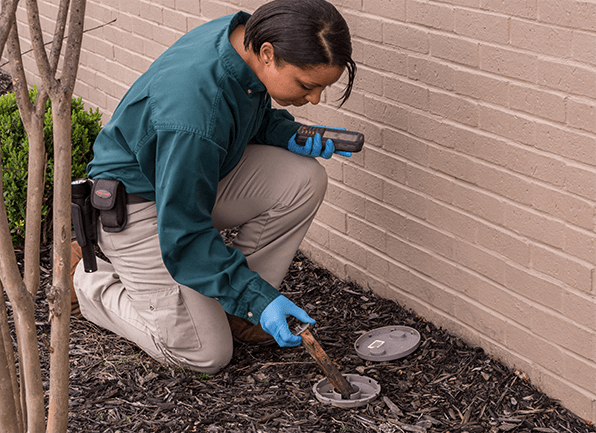 The bugs you see during this inspection are likely to look like the bugs you've seen on the news. They are oval-shaped, brown to rust in color with six legs, two antennae, and horizontal dent lines on their back. Be sure to check backboards, baseboards, outlet covers, and upholstered furniture for these warning signs, as well as black streaks or tiny black droppings. Once your inspection is done, your checklist isn't done. It is important to keep a casual eye out for other signs during your stay. One of those signs is seeing a bed bug crawling around. If you see a bed bug during the day, it is likely to look entirely different than bugs found during an inspection. This is because adult bed bugs are not as likely to come out until it is dark and CO2 levels have increased in a room. The adventurous bed bugs that can sometimes appear before everyone is sound asleep are most often immature nymphs. These nymphs can be as small as the tip on a pen and have a transparent skin that is clear white at first and grows tan to brown as the young bed bugs mature. These tiny immature nymphs will become bright red while feeding. If you see a tiny red bug feeding on your skin or the skin of someone else, take a closer look. Bites are usually the way travelers discover bed bugs. If you've done an inspection of your room, and have kept an eye out for immature bed bugs, you should be safe from bites. But it is still important to recognize these bites on other people. It could give you the warning you need to take extra precaution. Bed bug bites are red welts that can have a significant rash around them. This can make bed bug bites look like a skin disease, rather than bug bites. Bed bugs can be hard to detect, and your inspection could miss an infestation. It is also possible to pick up a single bed bug that was left by the guests before you. All it takes is one bed bug to start an infestation in your home--female, of course. So it is a good idea to take preventative measures before and after you travel. Bed bugs climb into bags and luggage. It is a good idea to put these in plastic bags when you're not using them. If you take luggage out, consider elevating it while getting your things out. Keep clothes elevated. Bed bugs crawl into items that are left on the floor. If a female lays eggs in something you left on the floor, you could end up with a problem. Bed bug eggs don't need the mother in order to hatch. When you get home from traveling, wash all your clothing and bedding on the hottest temperature. This will kill bed bugs in all stages of development. This quick guide should help you stay safer when you travel. If bed bugs find a way into your home by some other means, take action and call Action. We have a team of bed bug control experts waiting to help you our, do not try to handle this situation on your own when you can just take action and call Action today.